Nitecore’s NU range of lightweight, plastic moulded, USB rechargeable headlamps, was a success when introduced in 2017. The NU25 builds upon this, with the functionality of the high end NU30 and impressive HC65, into the much smaller and lighter NU20 format. 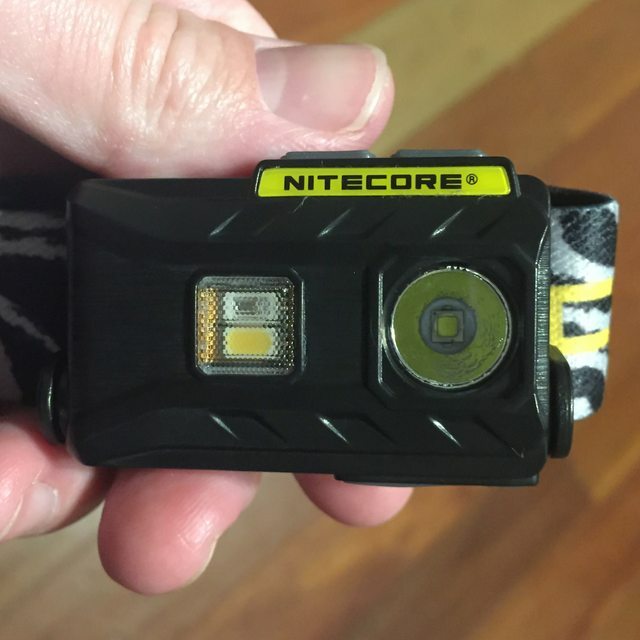 The Nitecore NU25 was supplied for an honest review by FastTech. I receive no commission for links or sales. Product Link. Enter coupon code “MAP” in View Cart page for a better price. The Nitecore NU25 arrived in a Nitecore branded cardboard and moulded plastic box. Inside were the headlamp, head strap, micro USB charging cable, and instructions. 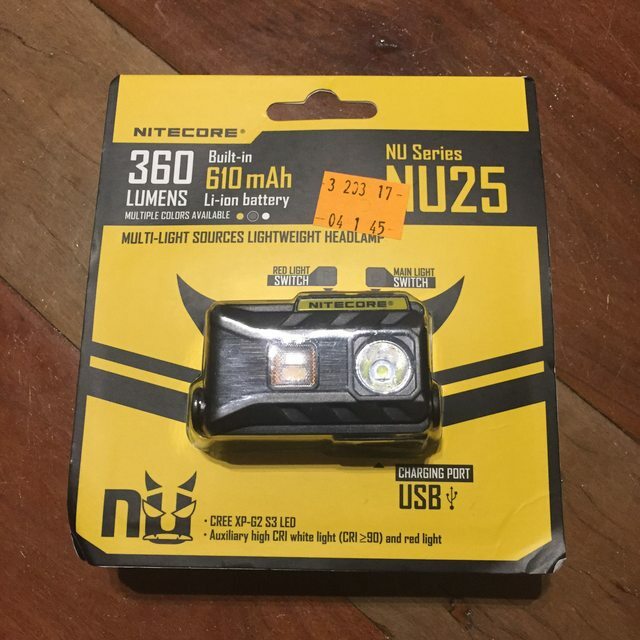 The Nitecore NU25 is a lightweight headlamp, with a plastic moulded case. At only 28g, it is very light. 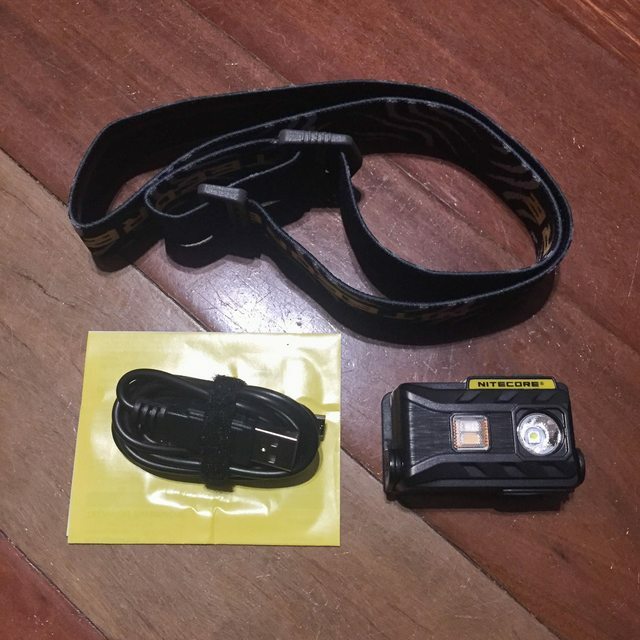 The headlamp is of a similar size to the Nitecore NU20, however the NU25 additionally has an auxiliary red and high CRI white light in addition to the main beam (similar to the larger, brighter, and heavier HC65). There are two buttons on top of the light, which will be explained in the user interface section. Unlike the annoying cover on the NU20 to prevent accidental activation, the switches are uncovered in the NU25, and electronic lockout can be achieved via the user interface. There is a single band (around the head) head strap, which is higher quality than the first generation of NU headlamps (which were still good). The headband contains a silicon strip for extra comfort, and is great for running. The headband runs through a plastic holder that is comfortable against the head. The main light is connected to this holder either side at the base, and can be angled down to 60 degrees in 5 increments (approx. 12 degrees each). 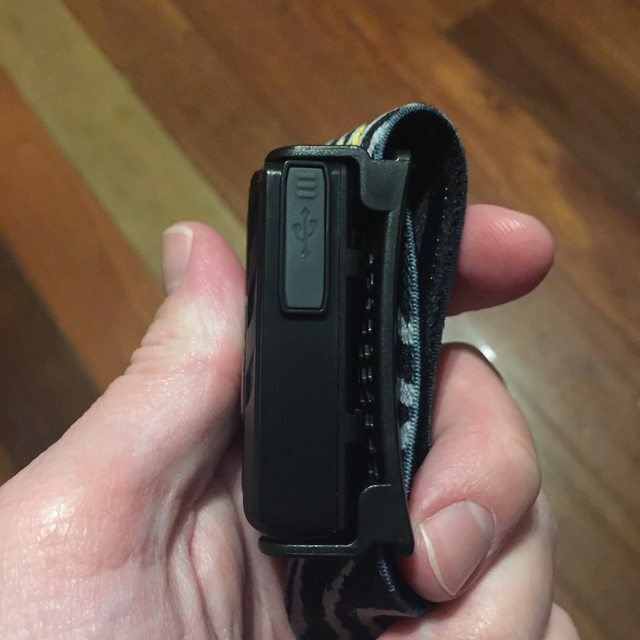 This holder withstood quite a few accidental drops during testing, but it is not as solid as metal headlamps, and is a possible point of weakness. The battery is a 900mAh li-polymer battery, that is non-user replaceable. This is 50% higher capacity than the similarly sized NU20, and equivalent to around 4xAAA batteries in power. This can be charged via the supplied micro USB charging cable. The USB port is protected by a rubber plug. There is a crude battery charge indicator as part of the user interface. Charging took 2 hours from empty, and thus the charging rate would be around 0.5A. As the battery is fixed, it is not possible to test capacity and internal resistance over time in an analysing charger. 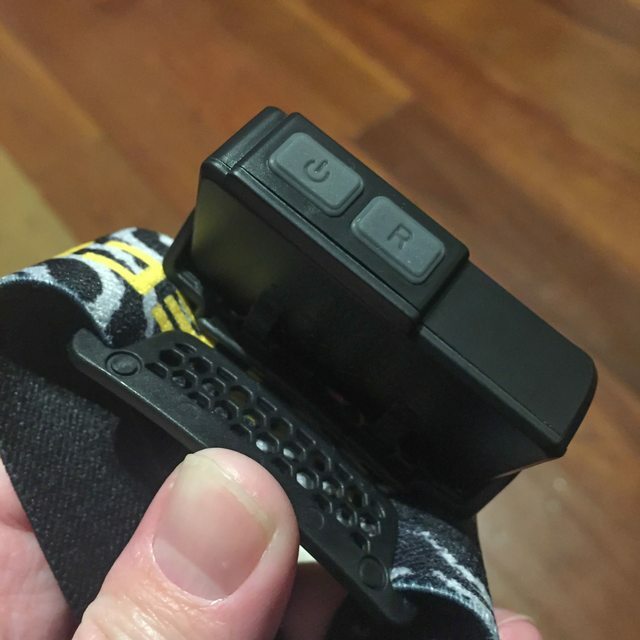 The Nitecore NU25 has two buttons on the top of the light, a red light switch, and main switch. If you are wearing the light, the main switch is the left of the two buttons, and red switch the right. Pressing both switches at the same time will lock out the light, and a subsequent press of both switches at the same time will unlock the light. Holding the red switch will result in flashes from the indicator light under the button. 3 flashes = >50% charge, 2 flashes = 10-50% charge, 1 flash = <10% charge. When charging, the indicator light will be red, and this will change to green when charging has terminated. The headlamp can be turned on when charging, which is a bonus. The user interface is fairly easy to remember. Whilst there is no mode memory, it is possible to access all mode quite easily. The functions available are impressive for such a compact light. There is no strobe mode, but this is a rare requirement for headlamps. 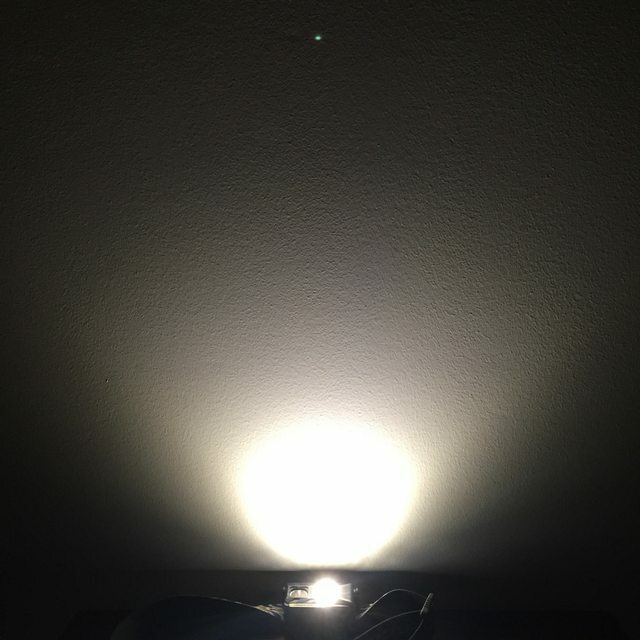 The main light has a shallow orange peel reflector, with a Cree XP-G2 S3 LED. This creates a 100 degree wide spill beam, with a wide hotspot (max 1,650cd/81m throw. The beam is strangely octagonal. The main light is cool white (6500k CCT), with the usual tint shift of slightly yellow hotspot, and slightly purple spill beam. Colour Rendering Index (CRI) appears to be in the usual low 70s. 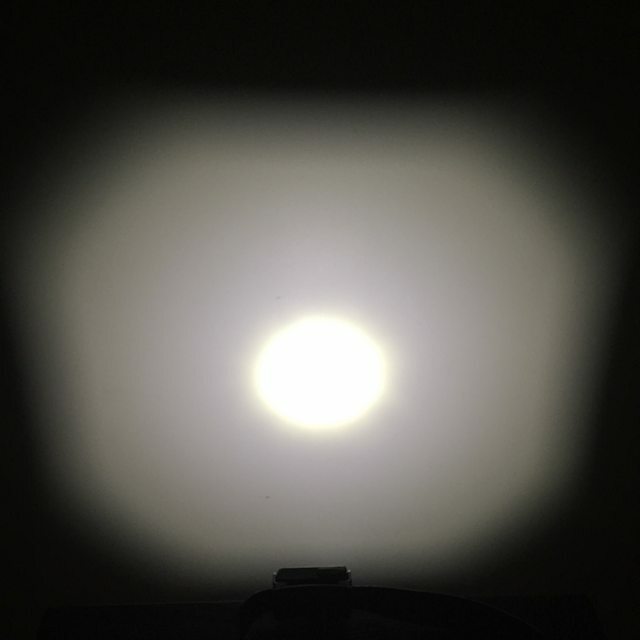 Brightness options are low 1lm, mid 38lm, high 190lm, and turbo 360 lumens. Turbo mode steps down after 30 seconds to avoid overheating, though it is possible to go back to Turbo mode after it steps-down. 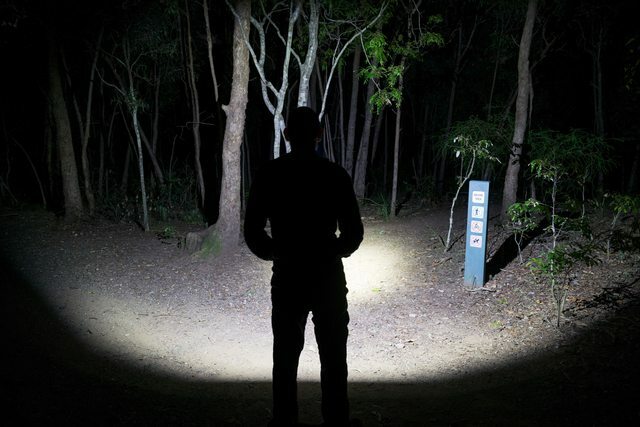 190 lumens high mode is usually sufficient for finding your way around dark places such as woodland. The output on high declines in a linear fashion during the first 2 hours of runtime, until is stabilises at medium mode 38lm output. I would have preferred a slightly higher mid mode for night running (I find that approximately 70lm is optimal for this). The 1lm low “moonlight” mode is great for a night light when camping, or for finding things in your camera bag without blinding everyone. The stated runtimes are 5 hours on high (of which the last 3 hours are at mid output), 8 hours on mid, and 160 hours on low. The red and high CRI white auxiliary light are placed behind a diffuser lens. This diffuser lens is slightly larger than on the recently reviewed Nitecore HC65, and this eliminates the close up tint shift that occurred on the HC65 when using the high CRI beam at <1m. Both auxiliary beams are well diffused in the NU25. 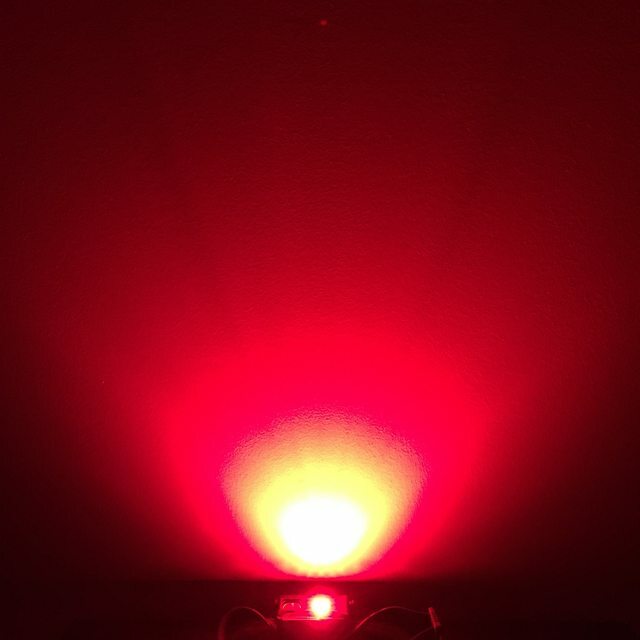 Unusually in a headlamp, the red light has both low (0.9lm) and high (13lm) options, as well as a flashing mode. The high mode is useable for up to around 4m, sufficient for illuminating a room during a light painting scene, and has a stated runtime of 7hr45mins. 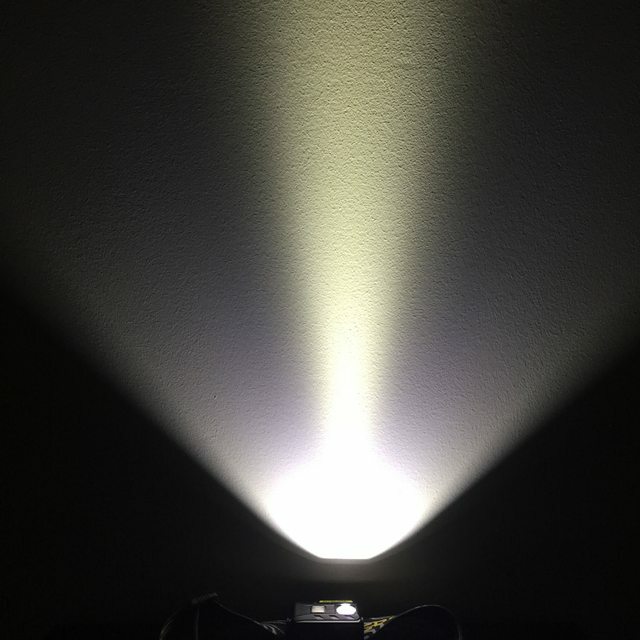 The high CRI white emitter is at 20 lumens, with a yellow tinted neutral white beam at approximately 4500k CCT. 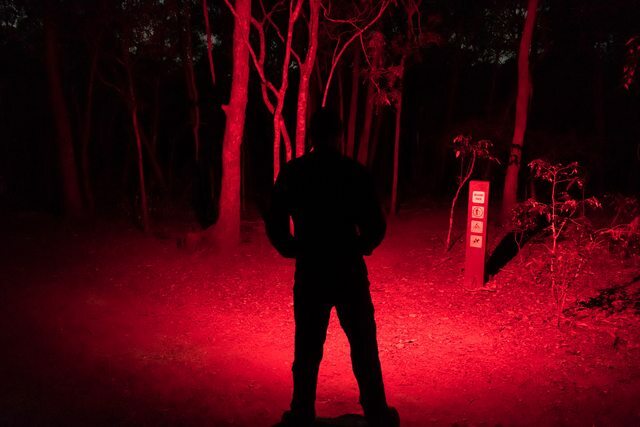 At >90CRI this renders colours well, and is thus useful for example to check that meat is cooked correctly whilst camping, or any other tasks where objects with colours (especially red) need to be better illuminated. The stated runtime is 6hr15min. It is useful for illuminating up to around 4m. No Pulse Width Modulation (PWM) was detected on any mode, which is good news! 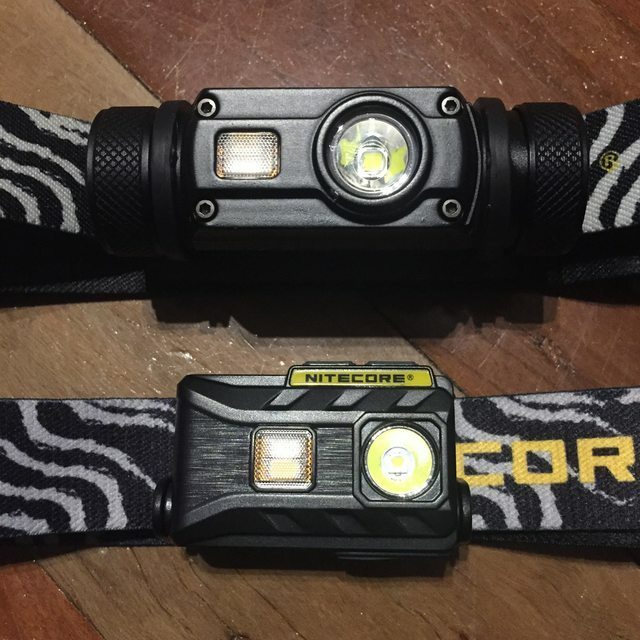 With a main, red, and high CRI emitters, the Nitecore NU25 is a compact and light weight version of the impressive HC65 headlamp. Due to the smaller size and weight, maximum brightness and runtimes will obviously be less. I would recommend the NU25 for people who want a compact, lightweight, and rechargeable headlamp for single evening use, or a single night camping. It is also a good headlamp for night runners.